We've all been watching this one closely. Here's what we know: Subaru and Toyota have teamed up to build an unprecedented, driver-focused sports car that puts lightweight and balance over horsepower. It's about driver involvement instead of numbers, and so far it's garnered universal praise. But for regular drivers, how can it live up to the hype?I was fortunate enough to have a chance to find out. I spent about 20 minutes with the Subaru BRZ, which sadly, was automatic, but it was enough to leave an impression. I drove it on regular, bumpy roads at street legal speeds and then did a handful of laps on the infeild road course at Texas Motor Speedway. It's a small track, but a track nonetheless, and I had room to explore the handling behavior better than I'd be able to if I had had it for a week driving only on public roads. For all the talk about how it drives, I was eager to see how it looks. With its low beltline and compact physique, I was hopeful that it would look like a junior exotic in the way that a Lotus does — the Scion FR-S Concept definitely did in person. The production model loses some of the sharpness and aggression, and despite the detailed, high-quality headlamps and taillamps, the BRZ can't really hide that it's an inexpensive car. I think better wheels and suspension would go a long way towards improving its presence, but as it stands it's an attractive coupe. The proportions of the rear are stunning, especially when you see it on the road. It appears wide and low, like a baby Lexus LFA. Interior is spartan and pleasing, with Toyota-like fit and finish and a classic layout. It's better designed than the typical Subaru interior and doesn't resemble the current theme that seems to be prevalent in all the current small Toyotas. But the seats, wow. The seats are incredible, at least for my lanky body type. No factory seat has ever fit me better, including the ultra-supportive ones in the Nissan GT-R or the special carbon-shelled units in the Porsche GT3. The headrests tilt forward and support your head naturally, and shoulder supports in the upper part of the seatback keep your body in place. When I jumped in the car I had trouble finding the third pedal, until I realized Subaru had brought an automatic BRZ. It's too bad, but there was still a lot to be gained from the experience so I wasn't too bothered. I'm very curious about how the shift action feels in the manual version, but in the meantime I drove it in Sport and used the paddles behind the steering wheel. Off the line, the acceleration feels pretty average. It's not a rocket, but the torque curve is nice and flat and it feels great coming out of corners. I can't speak about the gear ratios since this was the automatic, and I think it would be more satisfying overall if it were a freer-revving manual. The brake pedal is pretty stiff without a lot of feel about what's going on. This seems to be the weakest point as far as the driving connection is concerned (though the braking performance is fine). Maybe you adapt to it but from what I saw it was overly hard and numb. I hope this won't end up like the Mazda RX-8: wonderful to drive, utterly unique, and largely forgotten. The RX-8 had a lot of hype and fanfare when it launched, but faded after neglect from Mazda and never really connecting with buyers. I think the BRZ/FR-S has a better chance for success: it looks sportier and fits the classic sports car concept much better. If Subaru/Scion can get people to test drive them then it should be a success. For the future of cars meant for driving, let's hope it's a success. There's been this resurgence of pure driver's cars in the last two years or so, and it's fantastic, but it's only been from the top. The Porsche Boxster Spyder/Cayman R twins are lauded as all-time greats, BMW's 1M takes a back-to-basics approach and shows there may be hope for BMW, and even the Ford Mustang Boss 302 brings serious handling performance to the everyman GT car. 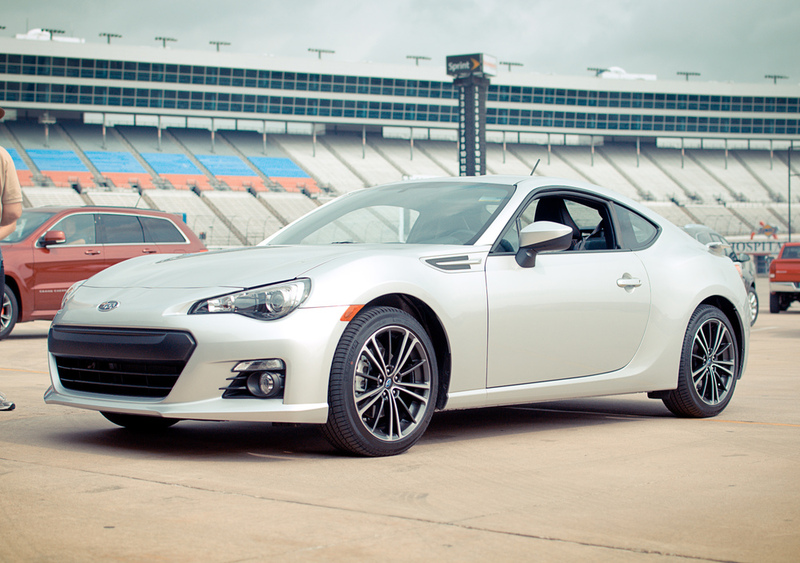 Now, the Subaru BRZ/Scion FR-S starts with the same goals as the cars listed above, but starts at $25,000. Seeking out a pure driving experience in a modern car is no longer just a rich man's game.